Prior to 1991, there were small number of manufacturers who used to make cars under license from the original makers and sell them here in India. Due to this, availability of cars was always a problem. Apart from the fact that they were expensive there were not many choices either. This made cars a luxury which was out of reach of majority of the population. Situation changed dramatically when our economy was opened in 1991 and many international manufacturers ventured in to set shops. With the development of infrastructure and better roads, cars, today, have become more of a necessity than a luxury. Now, we have truckloads of choices and there is one for every taste and requirement… well almost! To make them affordable, financial instruments like car loans are helping people acquire their dream car easily. So, what exactly is a car loan? It is a sum of money lent by a bank or a financial institution to a borrower for purchasing a car. The bank or financial institution charges an interest on this amount and expects this amount plus interest to be returned to them over a pre-specified period. The amount, together with the interest, is divided into equal installments and must be paid to the bank/financial institution every month by the borrower. This proportioned amount is called as EMI (equated monthly installment). There are many factors on which the calculation of EMI’s are dependent. The first one is the loan amount. This is the amount which a bank/financial institution lends to the borrower. Now, this can be equal to the total on road value of the car or lesser. 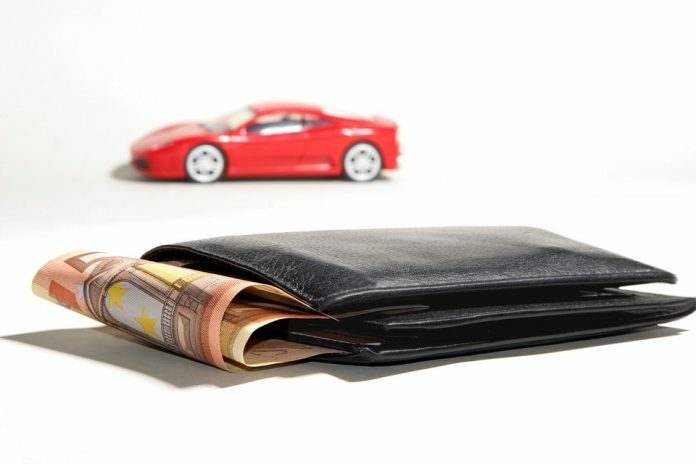 In some cases, due to certain reasons (like set guidelines or internal rules), a bank or financial institution may not be able to provide the full-on road value of the car as loan. In such cases, the borrower must arrange the balance from other sources. This can either be through his own funds or he also has an option of getting it through a personal loan. Now, this personal loan is again a type of loan (like car loan), the difference being the fact that the lending institution does not need to know the purpose for which it is being availed by the borrower. So, the car buyer has an option not to pay anything from his pocket upfront, get a portion of value of the car through car loan and remaining through personal loan. The amount which is not part of the car loan will have to be paid to the car dealer directly by the car buyer and is called down payment. The car loan amount is directly paid by the lending institution to the dealer. The borrower, as mentioned earlier, will be charged an interest by the lending institution for the car loan and also for the personal loan. This interest can be calculated in different ways like applying “flat” on the total borrowed amount or “monthly reducing” manner or any other way. Further, the EMI also depends on the loan tenure, which is nothing but the period in which loan should be paid back by the borrower. A larger tenure may reduce the EMI but it will increase the net money payable by the borrower to the bank. Finally, there may be a one-time charge/fee levied by the lending institution for processing the loan and this must be paid upfront by the borrower to the institution. In today’s digital age, applying for loans has become very easy. Banks and financial institutions have set up digital channels like websites and mobile apps using which a person can easily apply for a loan. Not just this, they have also made available tools, like EMI calculators, on these platforms. This EMI calculator helps a borrower to know how much he/she will have to pay per month for a particular amount of loan beforehand. Once the application is submitted, the lending institutions processes the request and some even offer facilities like home visits for documentations. All these facilities and services have made the borrowing process speedy and simple.